NORTH LIMA - Services will be at 7 p.m., today, Nov. 13, 2014, preceded by calling hours from 5 to 7 p.m., at the Paradise United Church of Christ, 10020 New Buffalo Road in Canfield, for Mrs. Dorothy Byler, 72, who departed this life Tuesday, Nov. 11, 2014, at the Autumn Hills Care Center. Dorothy was born Nov. 25, 1941, in New Castle, Pa., a daughter of Alfred G. Black and Helen M. (Hixson) Black. 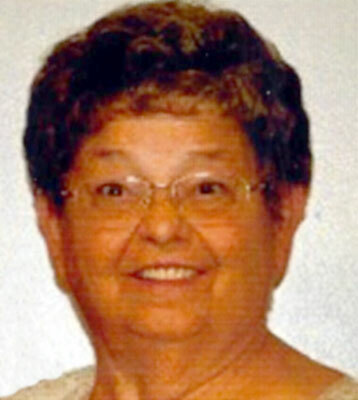 She was a 1960 graduate of Springfield Local High School. The job that brought her the most joy of all was babysitting her great-granddaughters, Rylie and Regan Wolfe. She was a long-time member of the Paradise United Church of Christ, where she sang in the choir. She enjoyed playing cards and weekly dinners with friends. She was known as “the buckeye cookie lady” to the family, always making them for weddings. Dorothy is survived by her husband, William J. Byler, whom she married Aug. 6, 1960; two daughters, Shelby (Bruce) Daniels of New Middletown and Leann Byler of New Middletown; two sons, Denis (Heidi) Byler of North Lima and Larry (Lisa) Byler of Columbus; a sister, Alfreda Kaiser of New Middletown; 12 grandchildren; and six great-grandchildren.